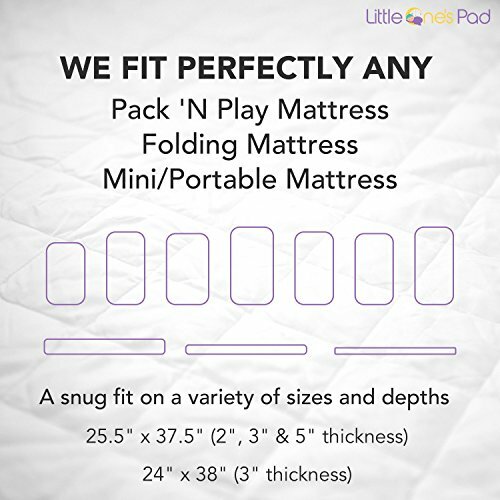 GUARANTEED TO FIT! 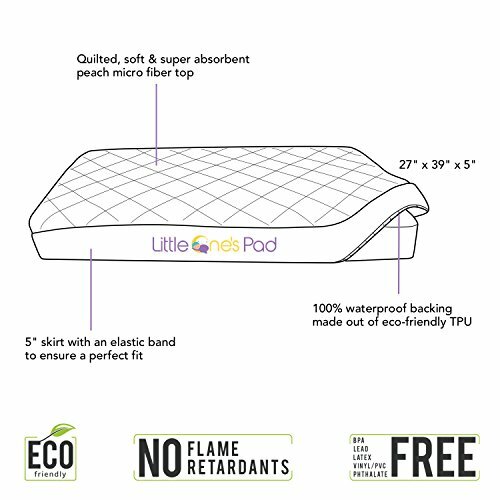 DESIGNED SPECIFICALLY FOR THE PACK N PLAY & MINI/PORTABLE CRIB MATTRESS. 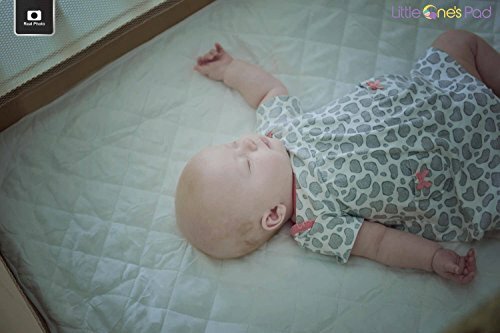 If you have the Graco Pack N Play, the Dream on Me (3" & 5" depths), a Foldable Mattress or any other Portable/Mini Crib Mattress, this crib mattress cover is a perfect fit for your crib!,HIGHEST QUALITY ON THE MARKET! 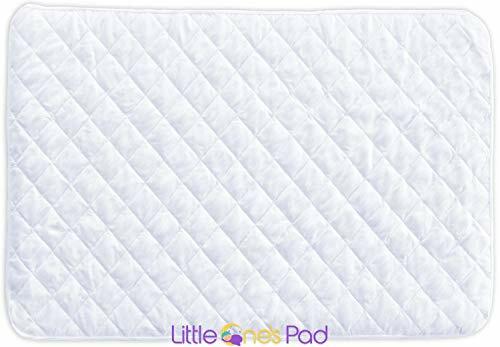 Most crib mattress covers use thin threads, unprotected waterproof lining and cheap materials which cause them to be a poor fit, shrink, melt in the dryer and tear up after only a few washes. 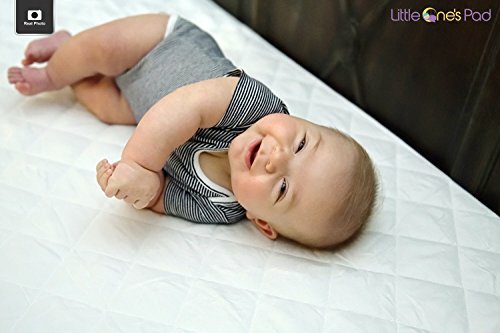 We use strong, reinforced threads, protected waterproof lining and top notch fibers to make this a soft but long-lasting crib mattress cover that will withstand HUNDREDS of washing & drying cycles and that will never shrink!,VERY ABSORBENT, BACTERIA RESISTANT, ODORLESS, HYPOALLERGENIC AND MACHINE WASHABLE! 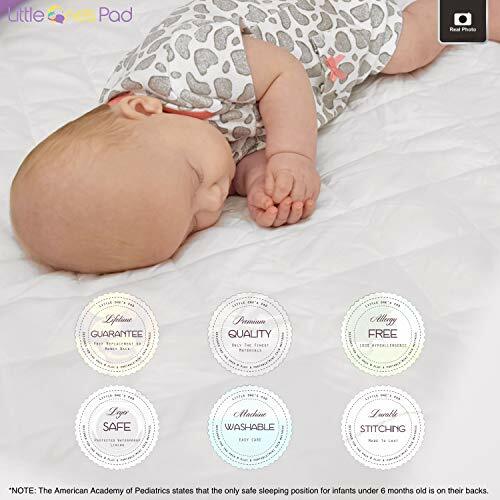 Perfect for your baby's sensitive skin, the soft, quilted peach microfiber fabric top absorbs any liquids almost instantly and the fully waterproof lining protects your expensive mattress, every time! 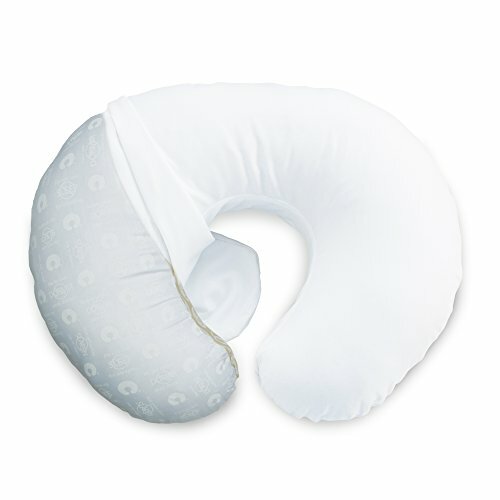 (no rips or leaks even after 300 wash/dry cycles),ULTRA SOFT, QUIET, COZY & COMFORTABLE. 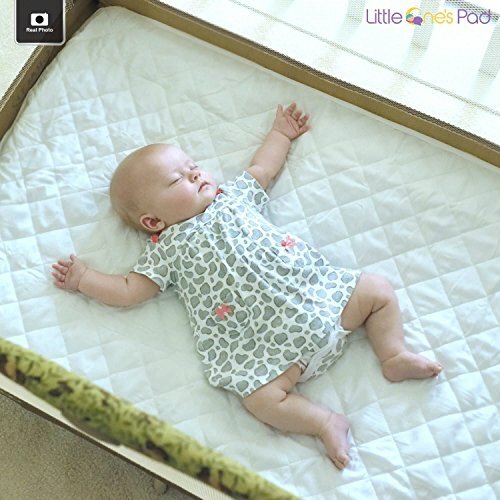 Our portable/mini crib mattress cover protects your mattress and makes cleaning up a breeze, but not at the expense of your baby's comfort. 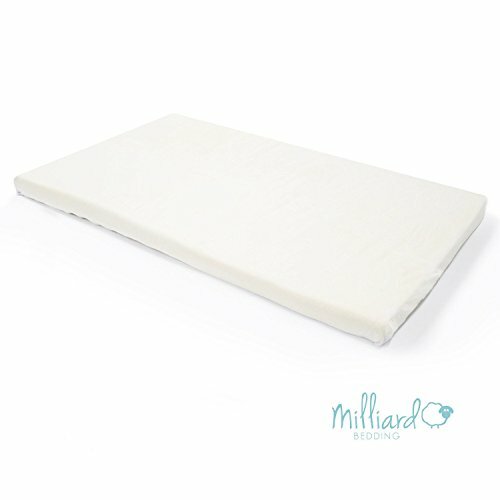 Due to the carefully balanced padding (not too much, not too little), this cover provides just the right amount of support for your baby to have a restful, soothing sleep in complete comfort. 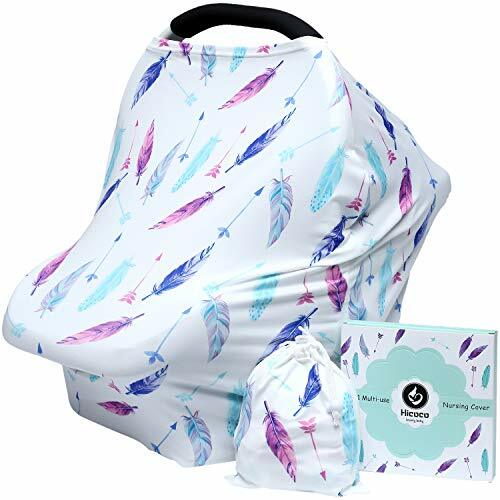 Furthermore, the cover doesn't make any crinkling sounds and it doesn't bunch up!,QUALITY YOU CAN TRUST, BACKED BY OUR LIFETIME GUARANTEE - REPLACEMENT OR MONEY BACK, NO QUESTIONS ASKED! 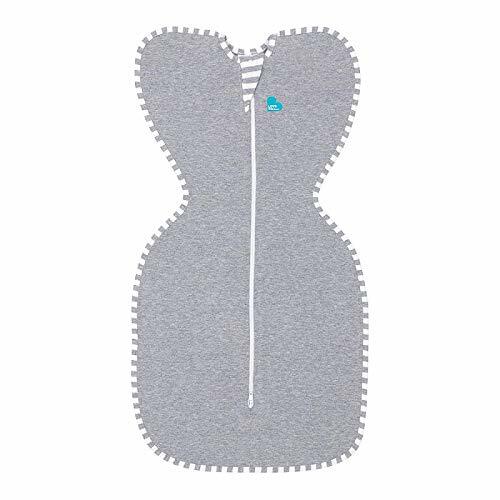 With our world class customer service and lifetime guarantee, this is by far the best investment you will ever make for your little one.